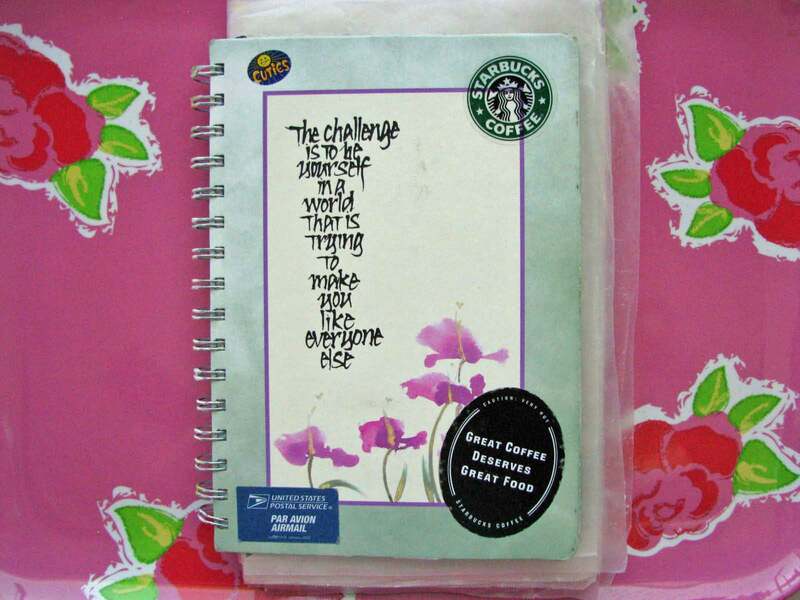 I have been holding on to an old journal that I used for work a few years ago. 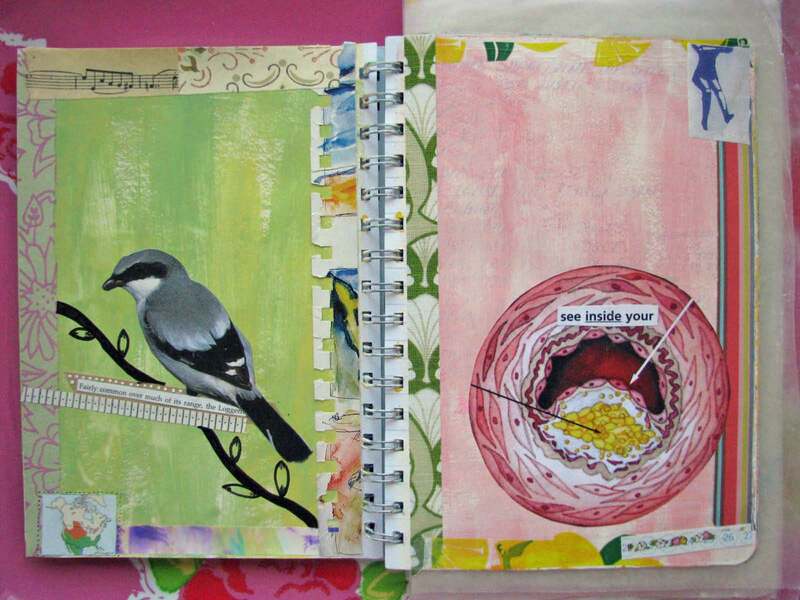 This one captured my daily to-do lists that kept my work humming along. 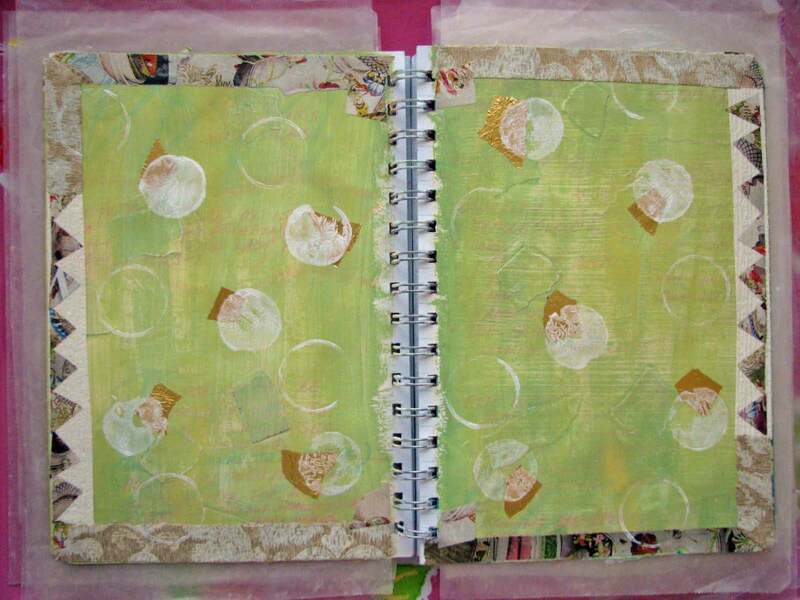 When I completed all of the pages in the journal, I went on to another one and put this one away knowing that I would someday alter it and reuse it. Well that someday was last week while we were on vacation. 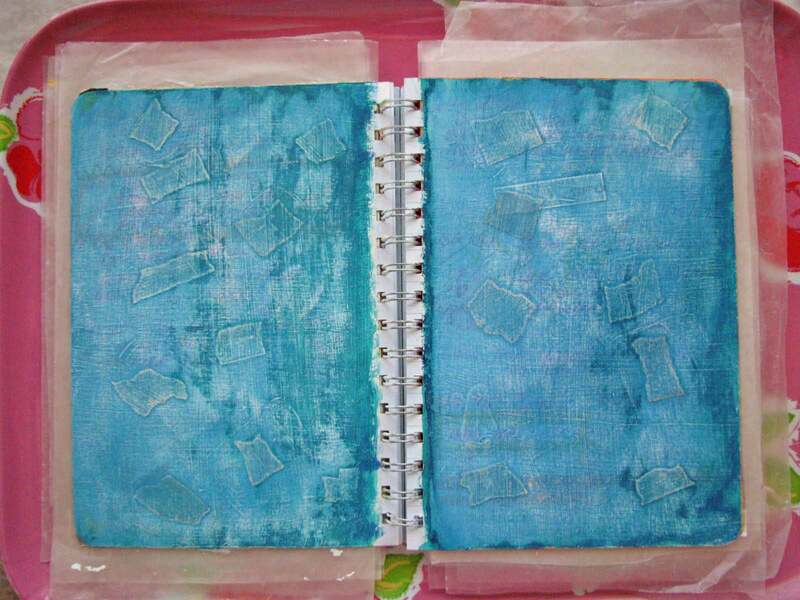 I packed the journal, a jar of gel medium, gesso, acrylic paints, brushes, a plethora of scrap papers and ephemera, a sanding pad, the heat gun and lots of colored pencils, markers and other writing instruments. 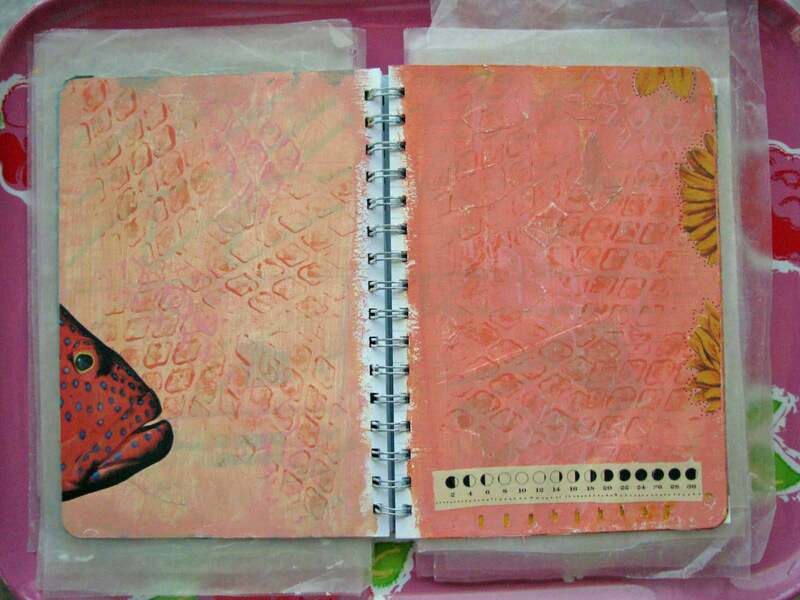 Some of the pages are ready to be jounaled in and some are still waiting for additions. 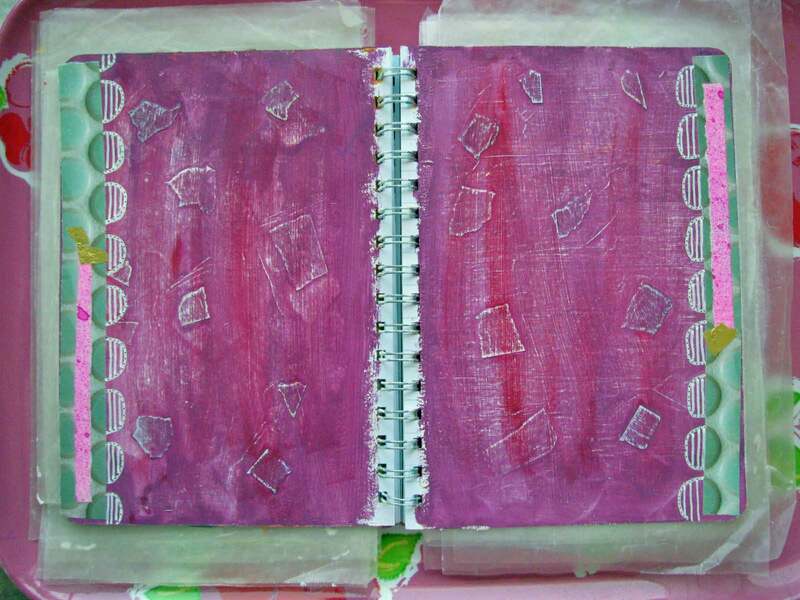 There are at least 40 more pages that need to be primed and prepared for journaling. 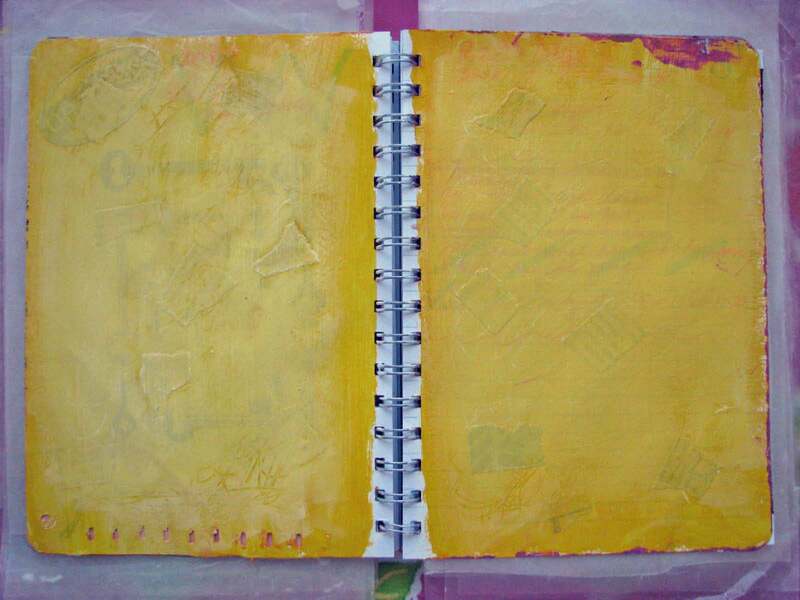 I’ve decided to use this as a travel journal – next stop is San Francisco in three weeks. 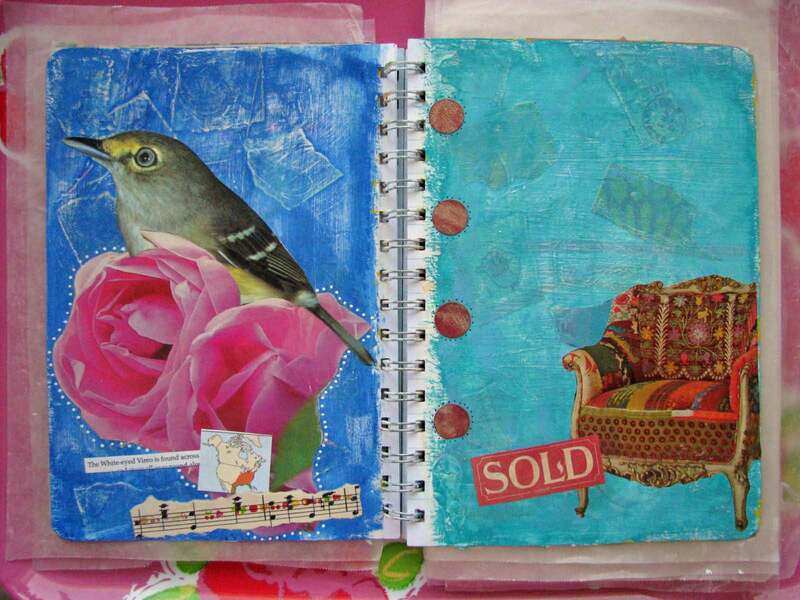 This entry was posted in 2009 and tagged art journal, collage. Bookmark the permalink. 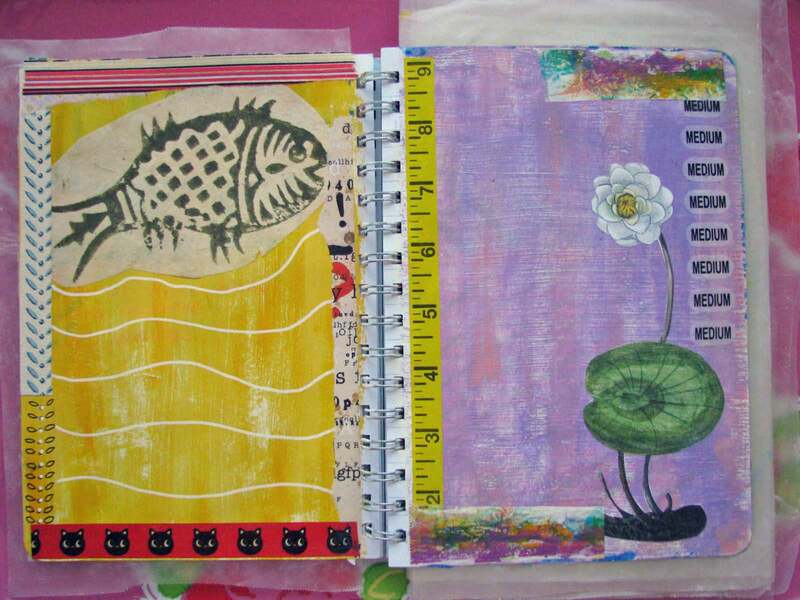 I love the idea of using old journals. 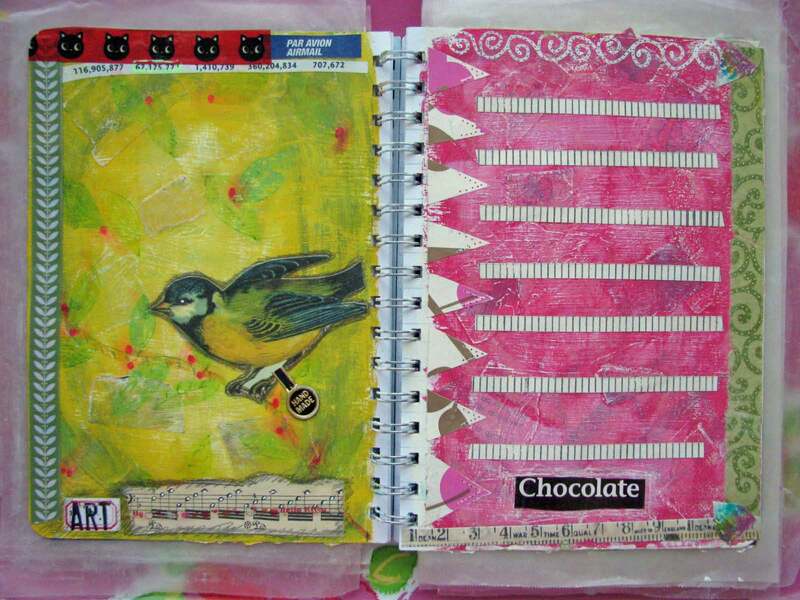 This has given me the idea to repurpose old monthly calendar/planners. I’ve enjoyed poking around your blog. This is FABULOUS! Can’t wait to see what’s next with it.